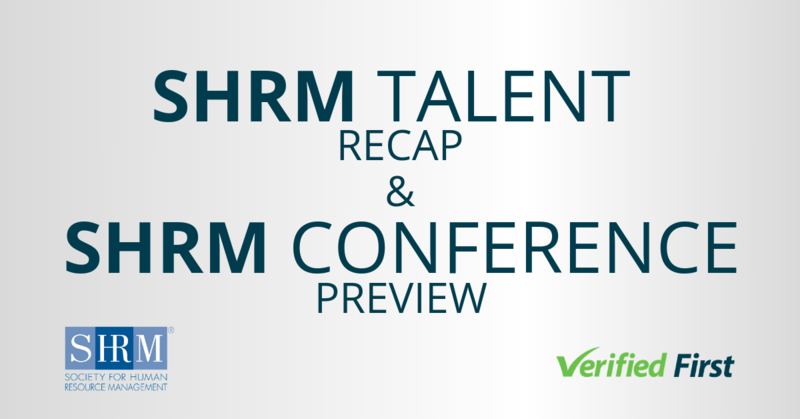 HR Transform 2019 just wrapped up two days in Vegas that focused largely on how to navigate changing HR technology as well as how to recruit diverse talent. Here is a sample of our favorite sessions from the conference. There’s a race to obtain as much technology as possible in order to speed up the hiring process, yet not all of this technology is beneficial. A powerful group of executives joined a panel to discuss this balance. Bart Macdonald, CEO of Sapling; Justin Palmer, CEO of TopFunnel; Robin Rosenberg, CEO of Live In Their World; and Enrique Rubio, founder of Hacking HR talked about how AI can help find the best candidate pools, and virtual reality can help candidates role play before they get the job. 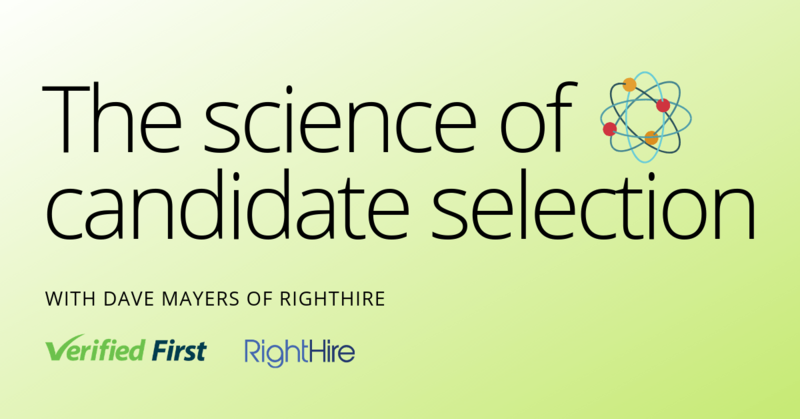 These tools can change the hiring process, but only if the HR team knows why they’re using the tools. As Enrique put it, HR teams first have to have their hiring process nailed down, and then use technology where appropriate. As technology increases in the HR sphere, some people worry about taking the human out of human resources. 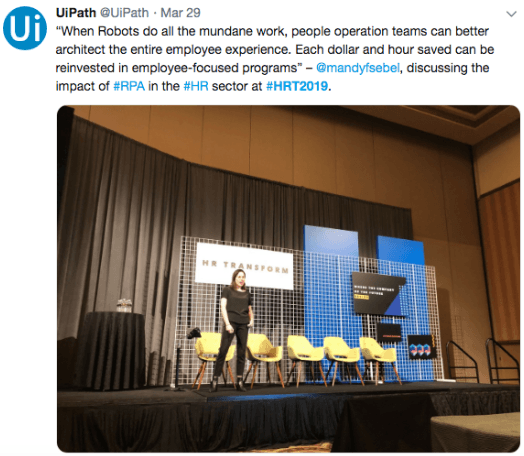 But Mandy Sebel, SVP, People-Americas, of UiPath takes that thought a step further. With technology, we can take the robot out of the human. HR teams have mundane tasks like reviewing resumes, scheduling interviews, and reviewing interview notes—but these are all things that robots can do, so that HR teams can spend more time on the human part of their job—getting to know candidates and collaborating with hiring managers. Mandy estimated that with the proper use of technology, HR teams can have 40% more time to focus on strategy. This session presented some of the newest stats on the current workplace. Noelle Codispoti, CEO of Gamma Iota Sigma; Andy Farver, University Relations Manager at Westfield; Tisha Leslie, Director of Employer Brand at T-Mobile; and Ilit Raz, CEO of Joonko, discussed stats including the fact that in 2018, the average American worker was 42.4 years old-- just 12.3% were under 25, and only 6.2% were 65 and older. So what does that mean? HR teams need to recognize these averages, but they also need to learn to speak to each generation-- within that age range, there are four generations that have explicitly different traits and therefore explicitly different working styles. Though the average American worker is 42.4 years old, there’s some incredible potential outside of that age that recruiters are missing. Rajesh Anandan, CEO of ULTRA; Richard Bronson, CEO and founder of 70MillionJobs; Stela Lupushor, Chief Reframer at Reframe.Work; and Mike Slagh, CEO of Shift.org talked about this untapped area of potential. For example, women over 50 represent more than half of chronically unemployed people, yet these women are likely to have decades of valuable experience. It’s a great thing that recruiters are now focusing on hiring for culture instead of just skills. 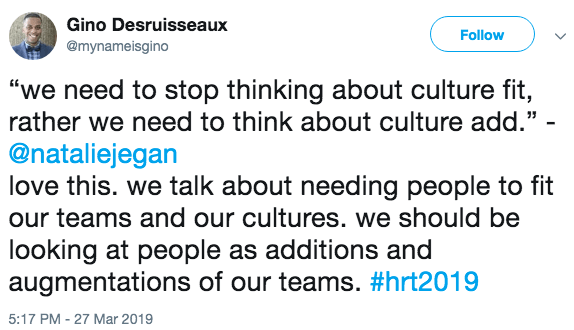 But the term “culture fit” can end up excluding diverse groups, while “culture add” alludes to the fact that diverse candidates benefit their teams. 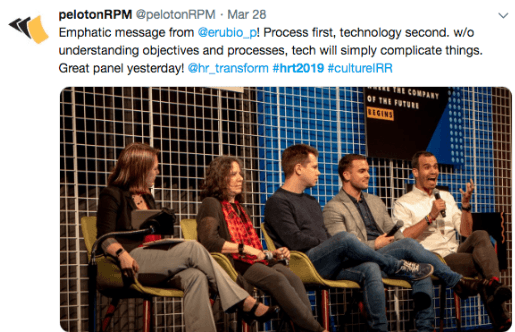 A panel at HR Transform talked about how to rethink culture in a way that makes things inclusive to everyone. Natalie Egan, CEO & Founder of Translator LLC; Erica Johnson, VP of People at Nitro; Aliyah Powell, Founder of the Collegiate Network for The National Association of African Americans in Human Resources, discussed that companies need to create cultures that aren’t just fun and supportive, but inclusive to everyone, and this starts with the hiring process. 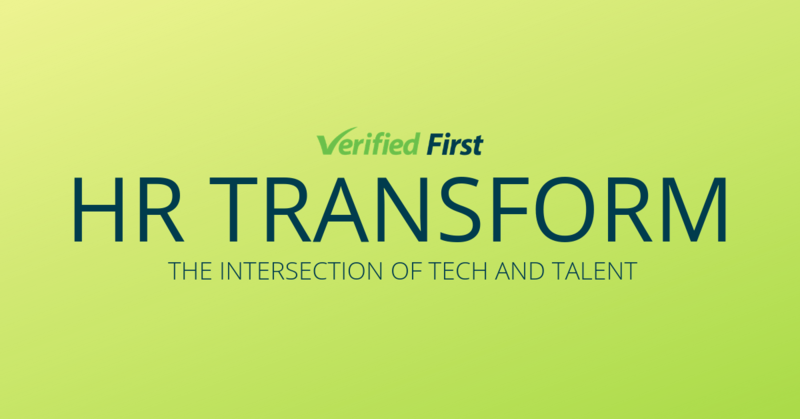 Background screenings are at the intersection of technology and hiring diverse candidates. With a qualified background screening company, you can ensure your candidates have an equal playing field, without increasing time to hire.